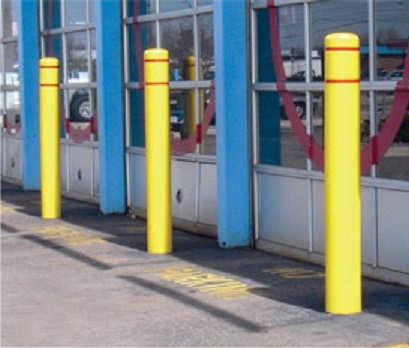 Maintenance-free polyethylene Bollard covers, with or without pair of reflective stripes, available in a variety of colors: Yellow (most popular and available), Red, Blue, Black, Gray, White, Green or Orange. Slides over existing post and is fade-resistant. Immediately improves property appearance. Various sizes available, and can be easily trimmed on site to fit.